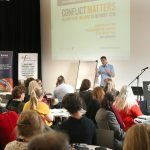 New-Bridge Integrated College participated in a significant conference from Wednesday 24 to Friday 26 October on the subject of conflict resolution. 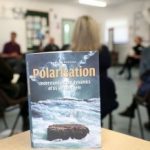 The call to be involved in ‘Conflict Matters’ came in recognition of New-Bridge’s status as an Evens Foundation Peace Education prize-winner. The Evens Foundation initiates, develops and supports projects which encourage people and nations to live together harmoniously in a diverse Europe. It promotes respect for diversity – both individual and collective – and works to strengthen people’s physical, psychological and moral integrity. 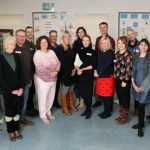 In addition, a number of people involved in cross community work participated in the workshops led by Bart Brandsma in the College on Thursday 25 and Friday 26 October.